What sanitary pads you use when you have your monthly period? 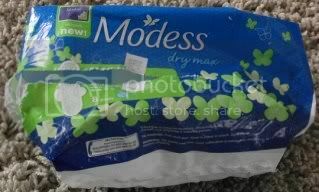 I bought this Modess dry maxi sanitary pad back in Manila last July of 2012. It is 40 pesos or $1 for eight pads in a package. I bought it in the Seven Eleven a closest convenient store near G Hotel in Roxas Boulevard where we stayed at. I was so scared walking in the dark street with my little girl with me. You still can see lights but it is not very clear. It was seven at night. I even carried my little girl with me while walking to the convenient store. My monthly period come as a surprise. I have no choice but have to buy a local sanitary pad. I still have the two pads left in the package. I used it yesterday and I feel so itchy. I think I am allergic to that sanitary pad. I just want to use it all up. 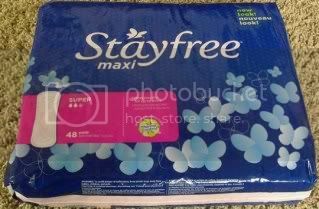 I usually use the Stayfree maxi regular pads. Stayfree maxi is thicker than the Modess dry maxi. This one feels comfortable. Do you feel like that too when you use a different sanitary pads? What kind of sanitary pads you are using? I am linking this entry to the 7th day of blog photo challenge.